What are the essential music business topics that university students should be exposed to before entering the music industry? Most universities have music students considering a career in music, performance, publishing, composition, recording, or any myriad of roles in the music and entertainment business. Many of these schools have neither the formal music business curricula nor the experienced faculty to support them. I’ve made it our mission to support these students through design challenges and workshops. In order to “design the design challenges” though, I need to periodically answer the bigger question: What should we be teaching? This article discusses 7 key topics that every university student should know. 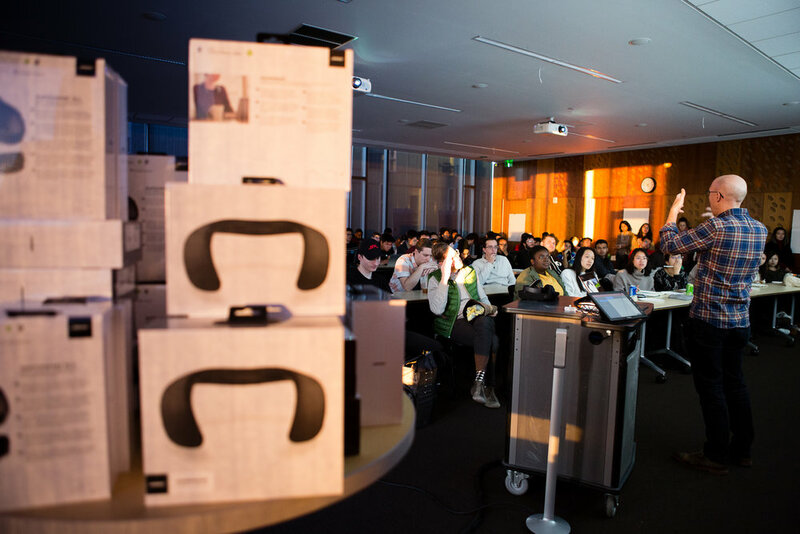 On January 24, 2019, Real Industry kicked off an Immersive 360 Spatial Audio Challenge at the University of Michigan. 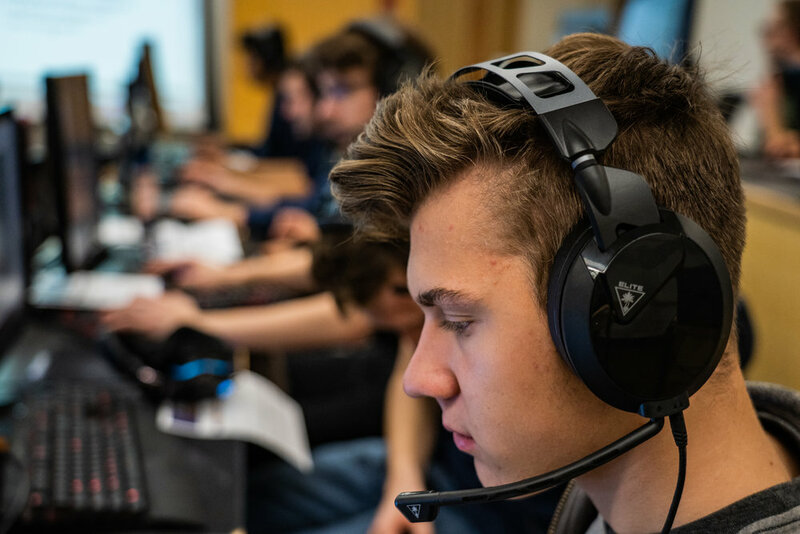 Over a 4 week period, students were mentored by Facebook’s Sound Design and Audio Engineering teams to create their first ever 360 spatial audio content. Spatial audio can fully immerse a user in an experience, adding realism and directing attention within VR or 360 video. This presents a major shift in the music, film, and gaming industry. 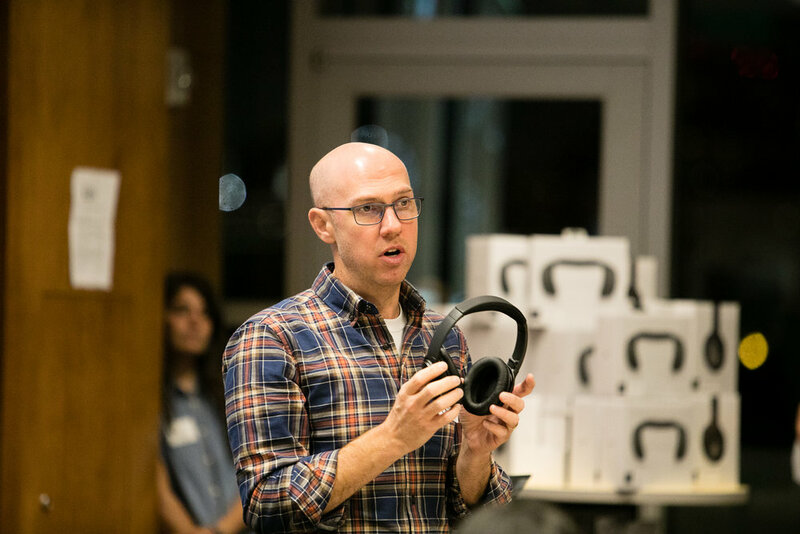 At the kickoff event, students were provided with the industry tools needed to create 360 spatial audio content: Facebook donated 20 Oculus Go headsets and the Facebook 360 Spatial Workstation, Avid donated copies of its flagship Pro Tools l Ultimate, and Pro Sound Effects donated access to their award-winning sound libraries. Student teams selected a 360 video without sound. Their mission: add sound, music, and dialog to create an immersive 360 experience. With these tools, 70 students formed 17 production teams embarked on a 4 week challenge. Teams included three different roles: a team captain (audio engineering lead), music supervisors, and sound designers. The Facebook teams held weekly virtual office hours to help guide the teams through the production stages of content creation. After four weeks of navigating the technical and the creative process, each team exported their project to an Oculus Go for an Immersive Audio Open House demo session. Members of Facebook’s Sound Design and Audio Engineering teams flew back to Michigan to meet with each student team individually. Over 15 critique sessions, industry leaders facilitated a feedback and design critique process mirroring their process at Facebook HQ. We think that’s what the saying “learning from the best” means. We ended the day with an open house for all students. With 20 Oculus Go’s setup, students were able to experience and evaluate each other’s projects. Students submitted feedback for their classmates and voted on the project they were most impressed by. The Peer Choice Award was given to one team and all members were awarded an Oculus Go. You can check out the Peer Review Award project below. Remember, students were provided a 360 video without sound. Every audible element, from footsteps, waves, wind, and dialog, was meticulously added in by the winning team! Over 70 students walked away with a potential new career path, an expanded professional network, and a portfolio piece for their resumes. Facebook gained invaluable feedback on their Facebook 360 Spatial Workstation and helped to create dozens of new content creators. Avid and Pro Sound Effects introduced the next generation of industry leaders to their flagship products. The University of Michigan faculty gained invaluable industry contacts and resources to support their faculty and students. Real Industry is now more passionate than ever about supporting the next generation of students who find themselves at the intersection of art and technology!